VATICAN CITY (CNS) — A new Vatican document cautions against the dangers of highly competitive children’s sports, political and economic pressures on athletes to win ‘”at all costs” and the unsportsmanlike or violent behavior of fans. The document on sports also calls on every group or institution sponsoring sports programs to have expert-guided child protection policies in place and it urged bishops, parishes and lay Catholics to be proactive in helping “humanize” sports. The document was released June 1 by the Dicastery for Laity, the Family and Life, and is the first Vatican document on sports, said Cardinal Kevin Farrell, the dicastery’s prefect. “We need to deepen the close connection that exists between sport and life, which can enlighten one another,” said the pope, who often fondly recalls how he and his family cheered on his favorite soccer team when he was a boy. The 52-page document highlighted the church’s positive view of the important values inherent to sport and blew the whistle on the growing threats in the sports world, including corruption, over-commercialization, manipulation and abuse. The document — meant for all Catholics and “people of goodwill” — also was an invitation to the church to offer itself as a valuable resource, partner and leader in safeguarding the dignity of the human person and all of creation. While not trying to touch on every problem or concern or pinpoint one sport in particular, the document listed what it saw as four serious challenges that are the result of an obsession with success and the huge economic and political pressures put on sports and athletes: the debasement of the body, doping, corruption and the negative behavior of spectators. “Aberrations of this kind can be seen in highly competitive children’s sports,” it said, noting an increase in pushing kids to specialize — often starting very early in life — in one sport intensively year-round, which can result in overuse injuries or eating disorders, particularly in girls’ and women’s gymnastics. 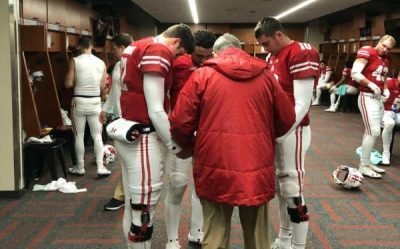 It asked for appropriate pastoral plans for players and athletes — including former professionals who sometimes experience depression and substance abuse when their career comes to an end — as well as for parents and volunteers. It called for “an educational strategy” to help coaches, teachers and managers seek the “best, most holistic” ways to humanize sports, and it urged seminaries to include formation in the pastoral care of sport as well as opportunities to practice sports, noting its potential as a way to evangelize. Father Gadberry and all men and women religious athletes offer “a very beautiful witness of how to join faith with sport,” he said. They also show a church that doesn’t wait for people to come to them, he said, but one that goes directly onto the field to meet people where they are. Document in English can be found online here and in Spanish here.